The seventh season of Game of Thrones may still be a month away, but you don’t have to wait for the premiere to once again fully immerse yourself in the blood-stained world of Westeros. 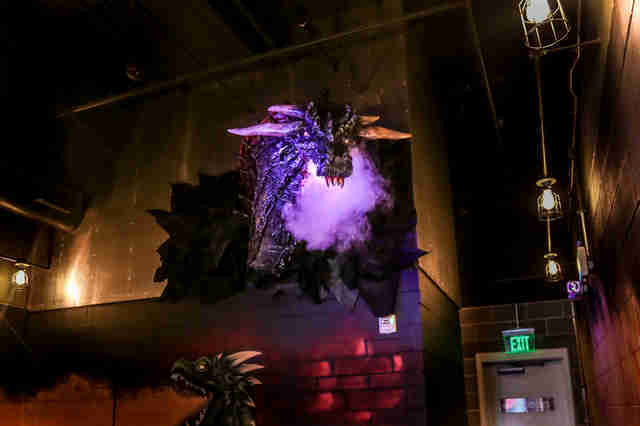 That’s because there’s a sprawling new GoT-themed bar now open in Washington, DC, decked out with everything from an Iron Throne and a Hall of Faces, to a fire-breathing dragon, and of course, plenty of pun-tastic cocktails inspired by the mega-hit series. 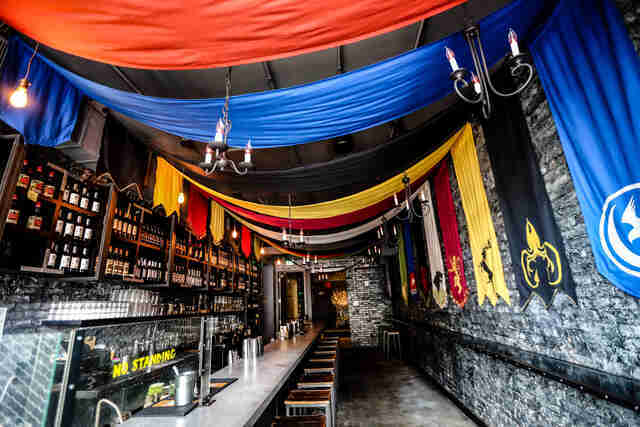 The 3,000 square foot drinkery -- officially dubbed the Game of Thrones Pop-Up Bar (PUB) -- will be open every day through August 27th at 1839-1843 7th St. NW in DC. It’s a collaboration between the Drink Company and Ommegang Brewery, and located in the same space (and run by the same team) behind other recent themed pop-up bars, including ones dedicated to Stranger Things and Super Mario, which people waited hours to get into earlier this year. 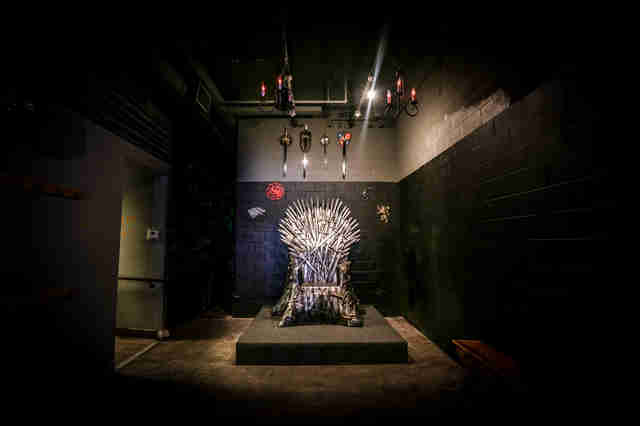 Inside, you’ll find three separate bars and a number of settings inspired by the various realms, like The North, the Red Keep, the House of Black and White, and Meereen. They didn’t skimp on the details, either. 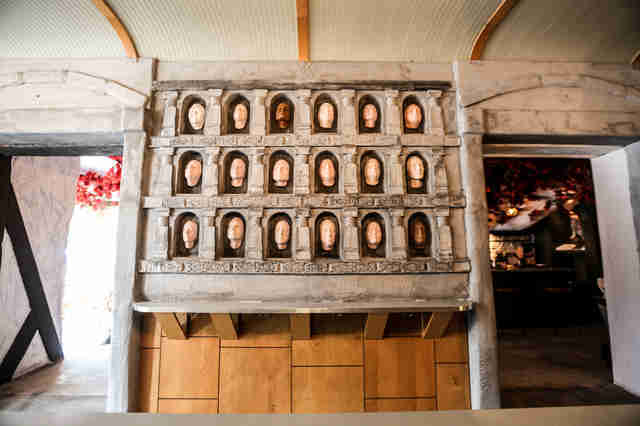 A realistic replica of one of Daenarys’ dragons juts out from one wall and spews “smoke,” and the Hall of Faces features plaster molds of the faces of Drink Company employees, friends, and family. To keep you in the moment, the show’s soundtrack is pumped through the sound system at all times. 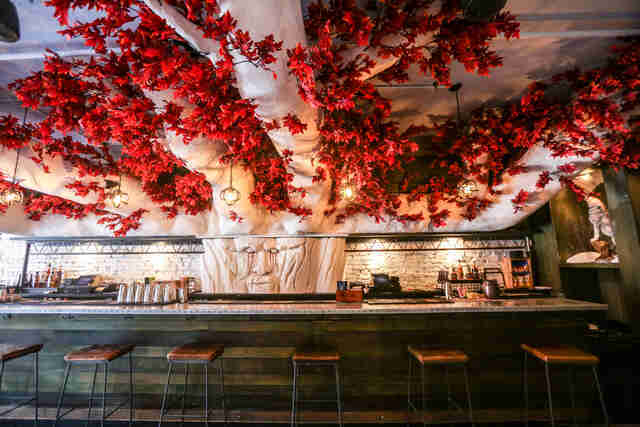 As for booze, the menu features a number of themed cocktails like the Scotch-based The North Remembers, the tequila-based Shame, The Lannisters Send Their Regards, and the Dothraquiri. Even better, a number of the drinks are served in specialty GoT-appropriate glassware. If you’d rather just stick to beer, Ommegang’s GoT-inspired golden Belgian ale, Bend the Knee, is on tap, too. Pro tip: don’t try to drop by on Sunday nights, because the bar shuts down at 7pm, so everyone can catch the latest episode. For more info and to peep the full menu, head to the pop-up’s official site.